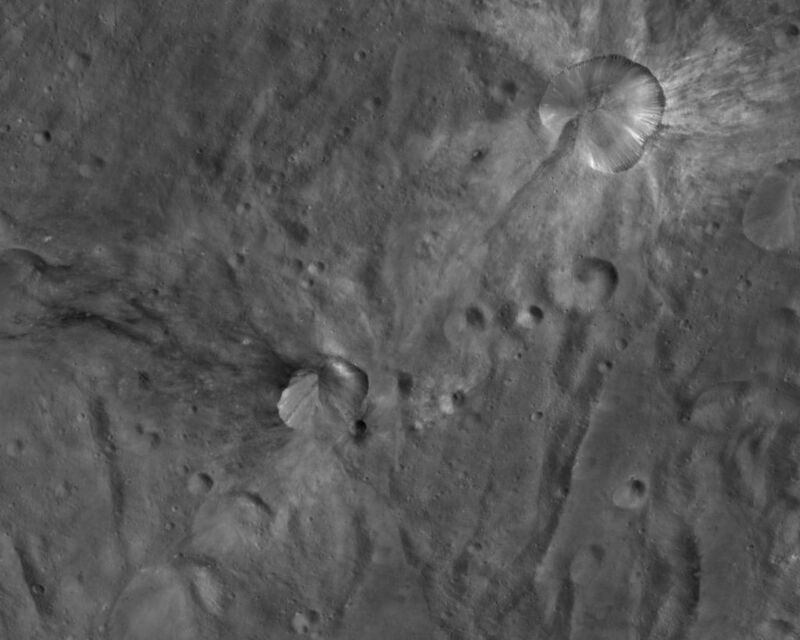 This Dawn framing camera (FC) image of Vesta shows two craters, one that has been named Canuleia and one that has been named Sossia. 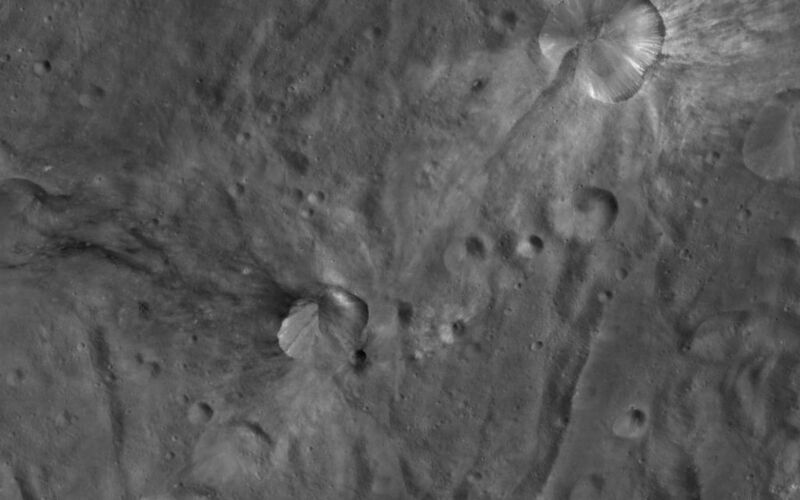 Canuleia is the bright crater in the top right of the image and Sossia crater is the smaller crater near the center of the image. Canuleia was the subject of the previous image of the day. Sossia crater is approximately 8 kilometers (5 miles) in diameter and is surrounded by areas of dark material. 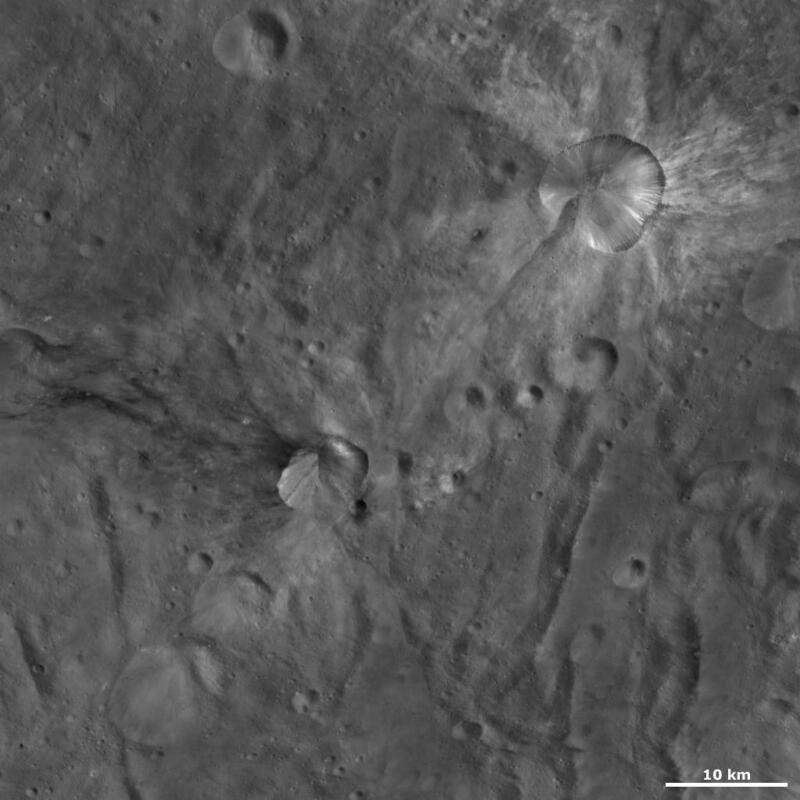 One area of dark material is associated with the small crater located just off the bottom right part of Sossia's rim and another area of dark material is located along the top left rim. This area of dark material spreads out from the rim in long, curvilinear streaks. There is also some bright material inside of Sossia crater but Canuleia crater contains much more bright material. This image is located in Vesta's Urbinia quadrangle, in Vesta's southern hemisphere. 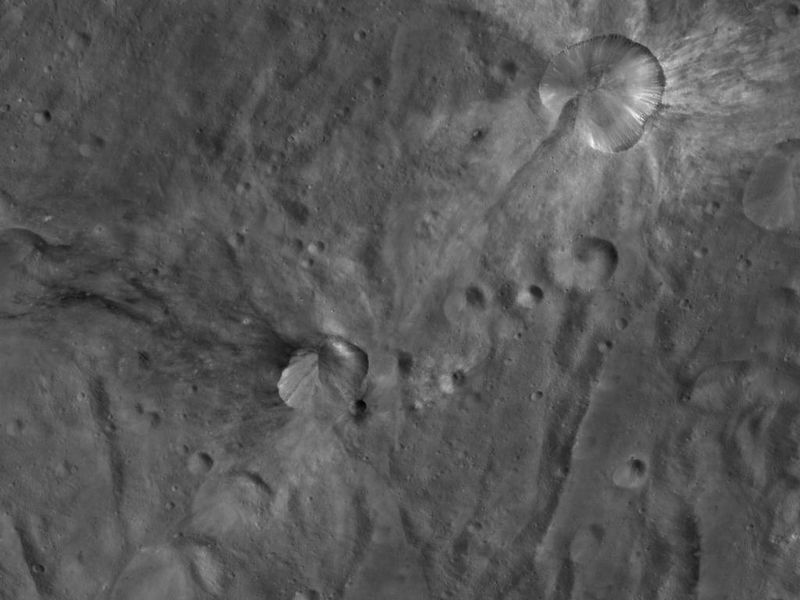 NASA's Dawn spacecraft obtained this image with its framing camera on Oct. 20, 2011. This image was taken through the camera's clear filter. The distance to the surface of Vesta is 700 kilometers (435 miles) and the image has a resolution of about 64 meters (210 feet) per pixel. This image was acquired during the HAMO (high-altitude mapping orbit) phase of the mission.